Original Grace Brethren church building at Harrah, Wash., under construction. 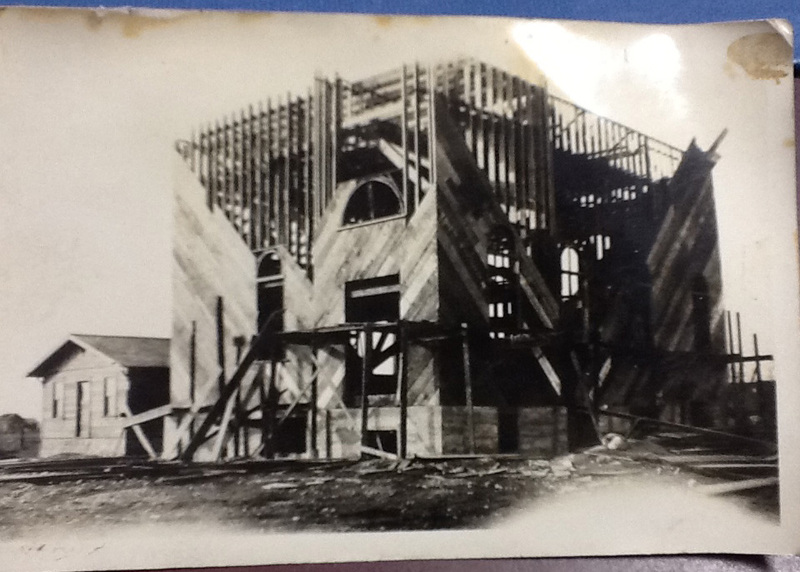 This photo was found in the old cornerstone as the building was being prepared for demolition. Preparations are being made in Harrah, Wash., to demolish the original Grace Brethren Church building that has not been used by the congregation since they built a new facility in 1991. Most recently it was used by the Harrah Community Christian School, but it has sat vacant for a number of years. This image, of the construction of the building, was found in the time capsule in the original cornerstone and was taken during construction of the original building in 1920.